Award badges are coming soon. They will be awarded according to your progress and attendance record. An email will be sent to your parent / guardian with an award code and instructions on how to claim it for your profile. One of the tasks assigned to the dojo champion is the awarding of badges. Of course, it is said the easiest award to earn is the attendance badge. Not so! Joining a dojo is a commitment to attend as many sessions as possible, to make friends and to share ideas and know-how with your fellow ninjas. Cooperation and inclusion are the binding blocks of the dojo. We had 27 sessions in this school year, 10 – 9 – 8 according to the length of each school term. Some of you never missed a day and will be awarded the 25 sessions badge, others joined the dojo in January and are only eligible for the 10 sessions badge and finally those of you who joined after Easter will receive the 5 sessions badge. There are no 15 or 20 sessions badges. Ninjas will get a chance to earn the the 25 sessions badge starting next September. A few parents have asked about the setting up of text alerts, WhatsApp, Twitter and Facebook accounts for the dojo for communication and promotion purposes. 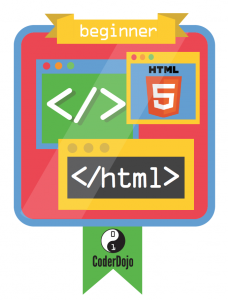 The dojo already has a Twitter account https://twitter.com/sasnscoderdojo and it will run in tandem with the website. The website was launched yesterday in the Computer Room in preparation for Open Day 2018. All postings to the website will be tweeted as a link. The dojo email address is sasnscoderdojo[at]gmail.com – remove [at] and replace with @ when mailing. In order to have a WhatsApp account or texting for that matter, the dojo would need a dedicated mobile phone number. This would be expensive to run unless a smart phone is donated and the account sponsored. Champions and mentors are advised to communicate with parents and guardians directly and not to text the ninjas. It is the parents and guardians responsibility to pass on the message. Eventbrite offer a free event notification service via email. 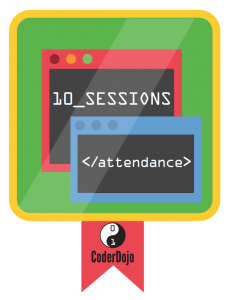 Many private dojos use the service to avoid their calendar of events appearing on the CoderDojo website and thereby attracting outsiders to their closed dojo. Facebook is open to too much abuse by third parties so the dojo will not have a Facebook account unless a specific tailored child friendly version is released and policed.